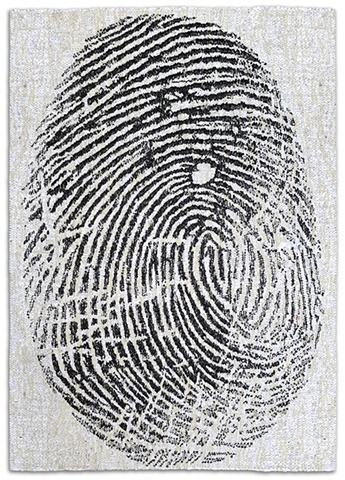 Our fingerprints have identifying markings both genetic and those shaped by the story of our everyday lives – nature and nurture if you will. I used the everyday objects that I touch: paper, junk mail, bills, disposal bags, and wool to make this tapestry. Even the story of a dog-bite is visible.